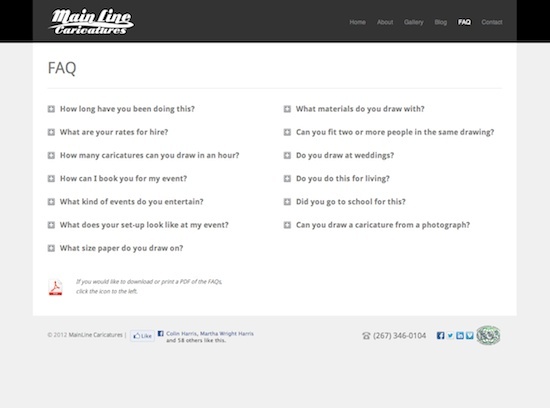 The site for Main Line Caricatures artist Colin Harris was fun for two reasons: working with Colin and enjoying his work! Colin chose the Reveal theme by Theme Trust. 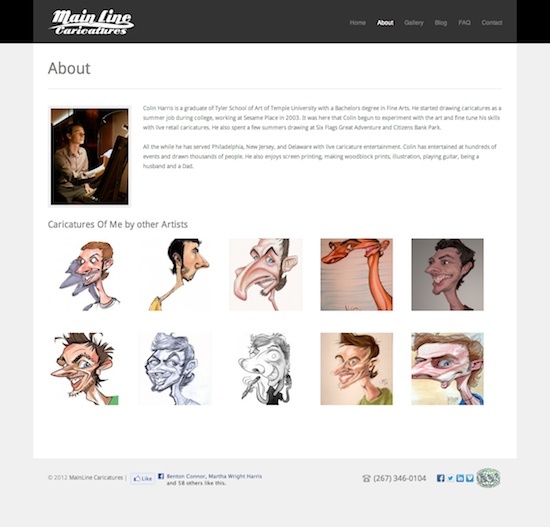 Areas of customization to the actual theme included the footer and homepage, and the Comprehensive Google Maps plugin helped with the fluid responsive design. 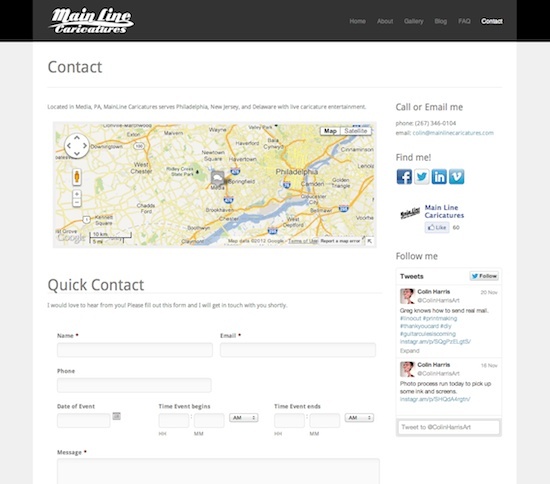 Social Media integration (Facebook and Twitter) accompanied plugins for jquery toggles (Shortcodes Ultimate) and contact forms (Gravity Forms). 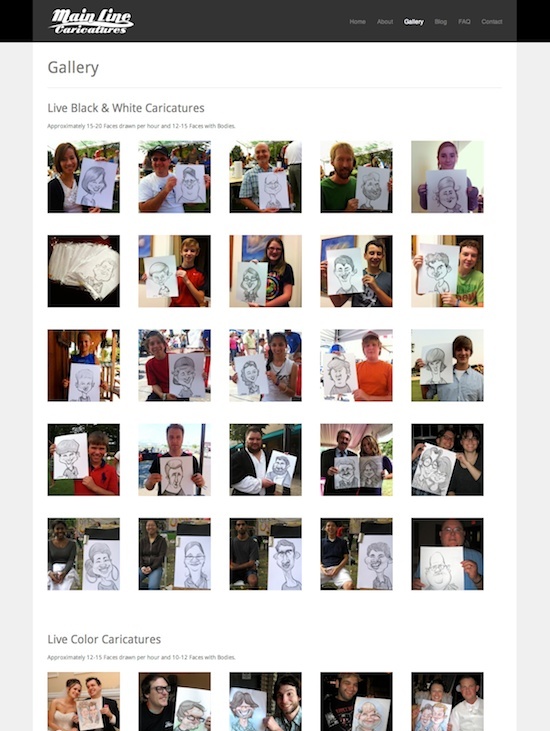 The WordPress Gallery shortcode was used for each image gallery. This project was finished in October 2012. 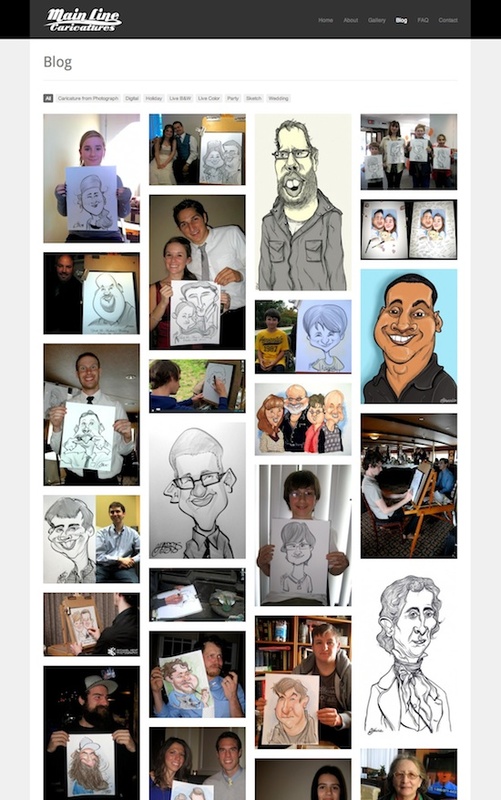 Specializing in Caricature Drawings since 2003, Colin Harris serves Philadelphia, New Jersey, and Delaware with live caricature entertainment. 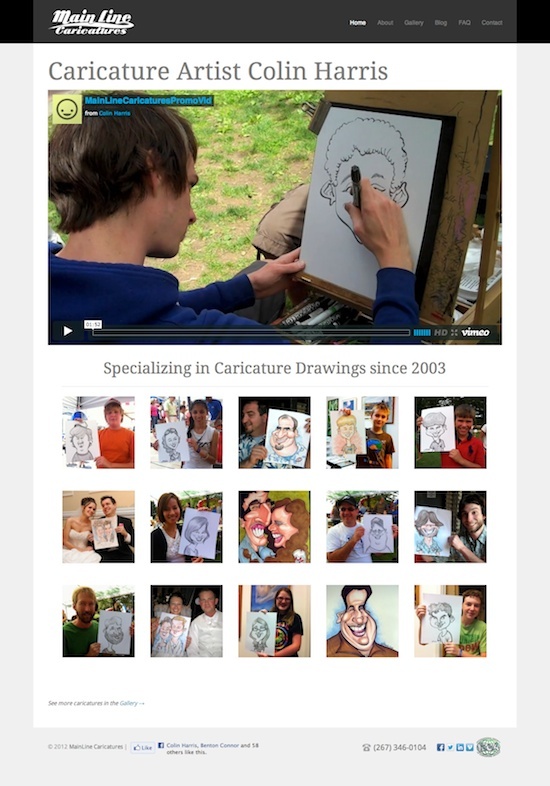 Colin has entertained at hundreds of events and drawn thousands of people. He also enjoys screen printing, making woodblock prints, illustration, playing guitar, being a husband and a Dad.